First, Trekaroo families love the Vancouver Aquarium at any time of year, it’s especially special at Christmas! Visit to meet Scuba Claus, see a holiday tree powered by electric eels, and even catch a 4D movie! Next, in the town of Burnaby, located just outside of Vancouver city limits, you will find the Burnaby Village Museum. During the holidays, this village is brightly decorated for the season. After visiting the historic buildings, enjoy holiday crafts, meet Father Christmas, and much more. Best of all, admission to the Village is free! Holiday activities begin November 24, 2018, and run to January 4, 2019. Then head on up on the tram to the top of Vancouver’s Grouse Mountain for The Peak of Christmas on Grouse Mountain! During this fun festival, you can meet Santa and his reindeer or twirl on the skating rink. Then, don’t miss making some snowman-themed crafts, touring a gingerbread village, and more! Activities are included with the tram fare ($89.95 family ticket covers two adults and two kids). Head on up to the mountain and have fun! Open November 23, 2018, to January 6, 2019. 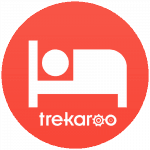 Another favorite destination for Trekaroo families is the Capilano Suspension Bridge. 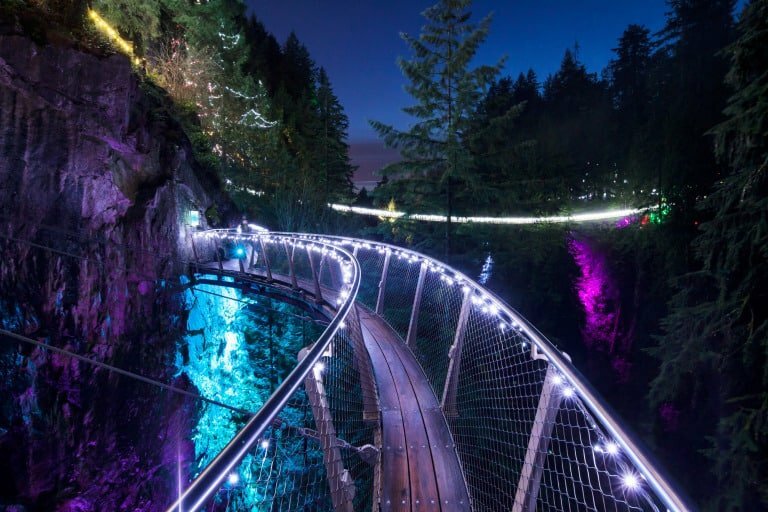 From November 22, 2018 to January 27, 2019 (closed Christmas Day), Capilano Suspension Bridge park comes alive with thousands of twinkling lights and the world’s tallest living Christmas tree! There is fun to be had while traveling around the park and admiring the lights. In addition, kids can take part in special events like a scavenger hunt and cookie decorating. How about a trip to Germany, without leaving Vancouver? Held at the Jack Poole Plaza, downtown Vancouver’s Christmas Market features German crafts, cuisine, and entertainment. There are lots of traditional wooden huts full of handcrafted holiday decorations and great gifts options! Open November 21 to December 24, 2018.
Who can resist a holiday train ride? Visit Vancouver’s famous Stanley Park for a ride on the train through the park while admiring the three million sparkling lights. After your train ride, visit with Santa Claus at the train station! Train fun is open November 27, 2018 to January 6, 2019, and is closed Christmas Day so that Santa can get his work done. Tickets are $12 for adults, $9 for youth (13-18) and seniors, $8 for children, and 2 years of age and under are free. 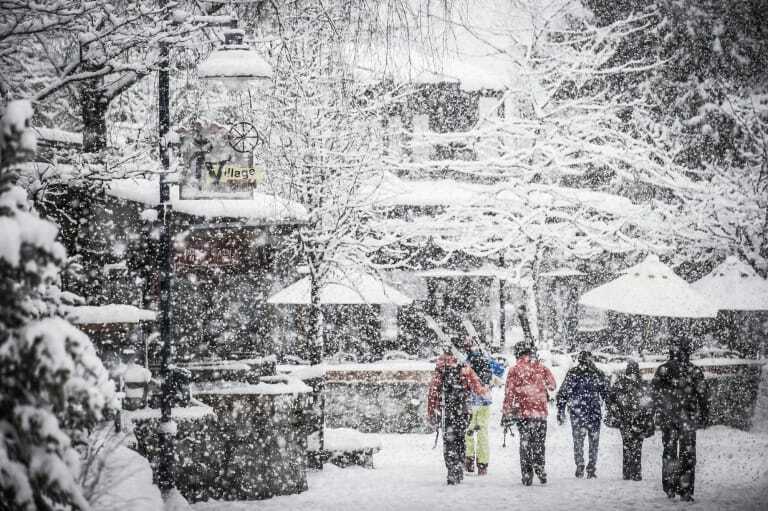 See a Winter Wonderland in Whistler, B.C. Whistler, B.C. doesn’t believe in limiting the holiday fun to the month of December. Instead, they leave up their festive lights for the whole winter ski season! After enjoying a day on the slopes, then grab a hot beverage and head out with your family to enjoy the sight of thousands of festive lights twinkling on the picturesque buildings that make up Whistler Village. Best of all, enjoying the lights is completely free! Want to take to the ice in the heart of Whistler Village? Check out Whistler’s Olympic Plaza for some ice skating! The outdoor rink is open every day from December to mid-April. Admission is free and skate rental is available for just $5. In addition, there’s another free event taking place in Whistler is the Whistler Holiday Experience. From December 22, 2018 to January 4, 2019, (closed December 25 and 31, opening at noon on January 1), kids can have a blast playing a game of mini golf, bouncing in a castle, exploring their crafty sides, or testing their video game skills. Meanwhile, a lounge area with coffee and hot cocoa is also on-site for parents to rest and relax. Open daily 10am- 6pm. Then catch Santa on December 23 and 24 from 1-4pm. Another fun event for the whole family is Family Apres, a chance to relax with a hot beverage or take part in winter activities! Times and dates vary and can be found on the Whistler, BC homepage. Check for deals on family-friendly hotels in Whistler, B.C. 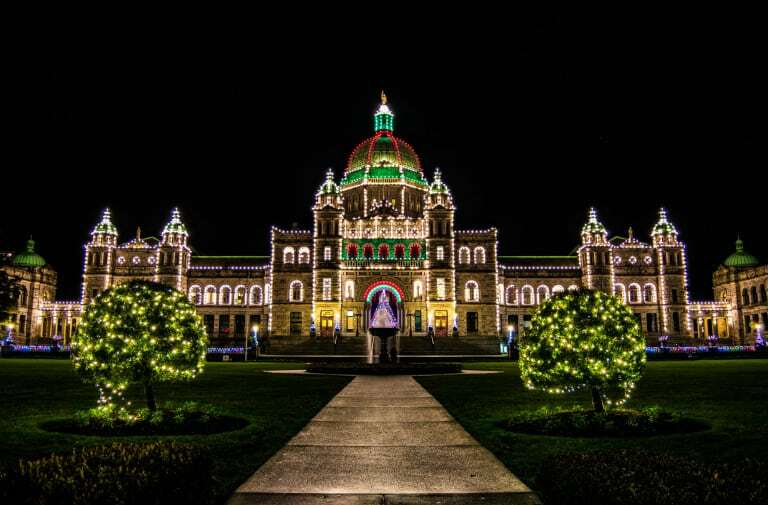 Visit the Beauty of Victoria, B.C. While Victoria B.C. is gorgeous and family-friendly at any time of the year, it does offer some special activities for the holiday season. To experience an old-fashioned Christmas, head to the Royal BC Museum (a real favorite museum of Trekaroo families!). Christmas in Old Town begins November 11, 2018. 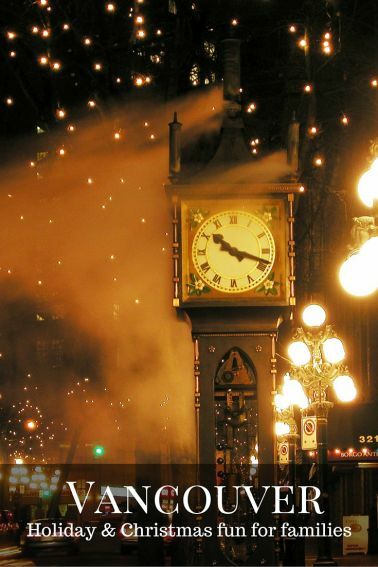 During your visit to Victoria, get some shopping done in Victoria’s Christmas Market. Pick up unique and beautiful gifts for your family! On the other hand, if outdoor sightseeing is more your speed, Victoria’s famous Butchart Gardens are all decorated with lights and fun with Christmas carolers, fine dining, ice skating and more await you from December 1, 2018 to January 6, 2019. 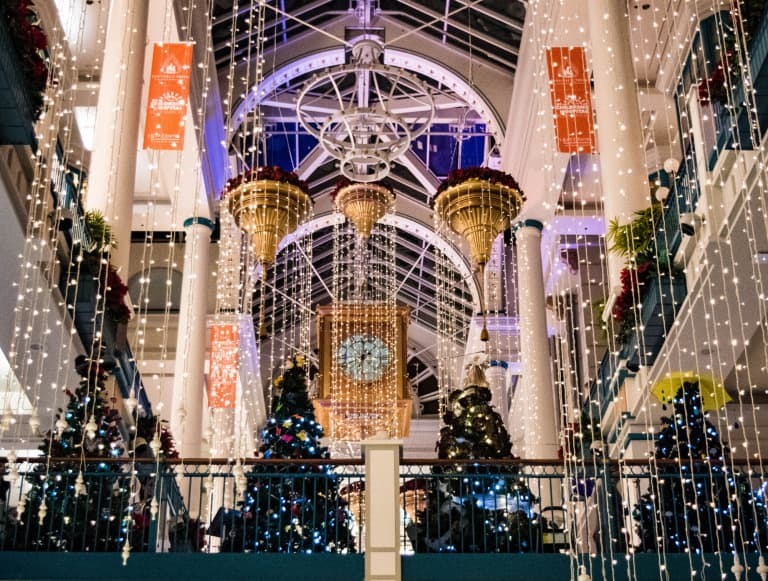 In addition, the Festival of Trees, an annual event which is taking place at Victoria’s Bay Center from November 18, 2018 to January 8, 2019, is a beautiful sight. From mid-November to January, Victoria’s Parkside Hotel will be home to the Annual Canada’s National Gingerbread Showcase. Admire the works of art constructed by amateur and professional chefs. Admission is free, but donations are accepted on behalf of Habitat for Humanity Victoria. Check out these amazing family-friendly hotels in Victoria, B.C. What are your favorite holiday activities in beautiful British Columbia? Share with us in the comments!